Tuesday May 17th, 1:00 p.m.
We made significant progress this week in our efforts to pass a body-worn camera bill during this shortened legislative session. Senate File 498, a bill backed by the Law Enforcement Coalition (MCPA, MSA and MPPOA), passed two House Committees on Tuesday and Wednesday respectively. The bill now goes to the House Floor for a vote on Monday. 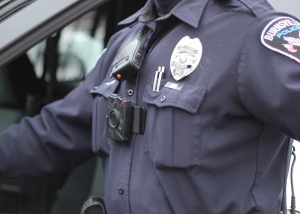 We anticipate some debate and several amendments to the bill, which classifies the video data collected by body-worn cameras as private unless an officer uses deadly force that results in substantial bodily harm. If you have already contacted your House Representative to say you support this bill, thank you. If you have not yet, please do so before Monday. Your phone call or email matters! Here's a link that will help you quickly find your Representative. For reference on messaging, please click here to read the testimony Chief Paul Schnell delivered to lawmakers this week. And here are more simple talking points. This should help you in your conversations with your state rep. Finally, if the House passes the bill on Monday, it will go to a conference committee where lawmakers will work to meld with Senator Ron Latz’s version of the bill. On behalf of Legislative Committee co-chairs Jeff Potts and Eric Gieseke, thank you for your help on this important issue in the final week of the session. Combining the brightest minds in business, law enforcement and higher education, MCPA's Professional Development Committee has designed an incredible initial learning weekend for the ADVANCED CLEO and Command Academy. Topics for this education and networking retreat include designing and implementing effective body camera programs, human resources strategies, and building community trust. Just to highlight one of the speakers, let's tell you about Michael Mirarchi, who will provide an in depth look at "Practical Employee Relations for Leaders in Law Enforcement." 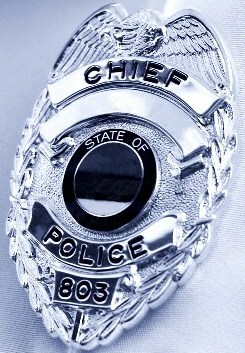 Students will gain the skills and increased confidence in handling employee relations situations that, while difficult and uncomfortable, must be addressed carefully to prevent larger legal problems for Chiefs and their cities. Click here to see the full opening weekend roster and academy schedule with learning objectives for each class. Applications are being accepted now for the academy that starts in September and concludes at the 2017 ETI. There are only 25 seats available. Register here. From partnering with big retailers like Target and Walmart to setting up non-profits or associations, our Chief's Chat on funding a Shop with a Cop program has been yielding a lot of great ideas. The observance of Law Enforcement Memorial Day begins with the Standing of the Guard, which will commence on Saturday, May 14th at 7:00 pm. 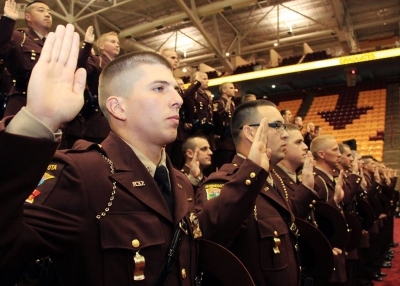 Officers from law enforcement agencies all over Minnesota will stand in silent vigil for 20-minute shifts around the Peace Officers Memorial at the State Capitol grounds. This vigil will continue throughout the night and into the following day. The Standing of the Guard will conclude at 7:00 pm on Sunday, May 15th. A parade of Honor Guard and other ceremonies will follow.